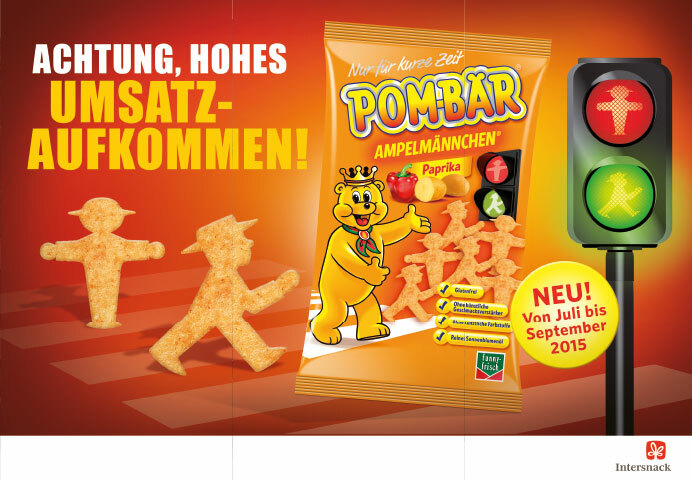 We are proud of our Ampelmännchen brand. We protect AMPELMANN and take great care to ensure that it only adorns good, practical products, meaningful cultural activity and valuable events in Berlin, which all have to be a good fit with us and with Berlin. This ensures the best quality for our customers – and the best results for our licensees. We are a strong, reliable partner for them. We always enjoy successful licensing arrangements and a shared commitment to Berlin. Simply get in touch with us! We will be pleased to advise you and exchange ideas. You can discover everything about the AMPELMANN trademark rights and licenses here. AMPELMANN GmbH is a Berlin design and distribution company that has made the brand featuring the two Ampelmännchen (in red and green) famous over the last 20 years. AMPELMANN GmbH is the owner of an extensive portfolio of trademarks for the “walking” and “standing” Ampelmännchen and also for the female “Ampelfrau” as figurative marks. We also own various word marks for the Berlin Ampelmännchen. 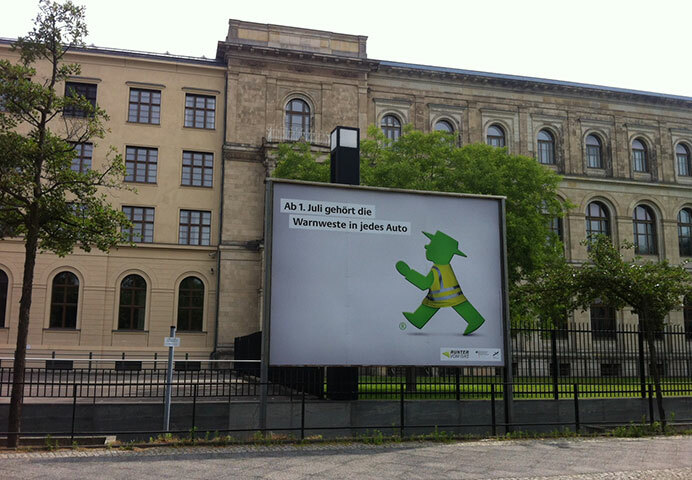 AMPELMANN GmbH also owns the rights to use the copyright for the Ampelmännchen, having been granted these exclusively by the creators Karl Peglau and Anneliese Wegner. The above trademarks lay claim to the protection of a wealth of goods and services. The “walking” and “standing” Ampelmännchen have been registered with the German Patent and Trade Mark Office as graphic and three-dimensional word marks and figurative marks since 1997. In addition, each of our products is registered with the Patent Office as an industrial design. The Ampelmännchen have also been protected internationally. For what licensed product would you like to use the AMPELMANN brand? Which trademark would you like to use: “walking” or “standing” figurative mark, Ampelfrau and/or word mark? In what size (what format) would you like to depict the trademark? How frequently will the trademark be depicted? For what period of time are you planning to use the trademark? In what size print run will the licensed product appear? Will the trademark appear on the cover and/or the inner pages? Please attach a layout sketch if you have one. 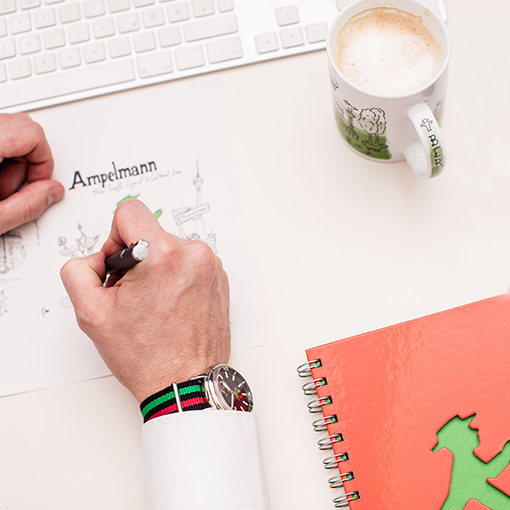 Naturally we will treat your sketches and your enquiry confidentially.The use of licenses for our AMPELMANN figurative marks and word marks is regulated exclusively via AMPELMANN GmbH. We strictly only allocate licenses for a limited period of time. The catalogue “Bildhonorare”, published by the Bundesverband professioneller Bildanbieter e.V. (BVPA), can be used as the basis for calculation for the commercial use of the Ampelmännchen. 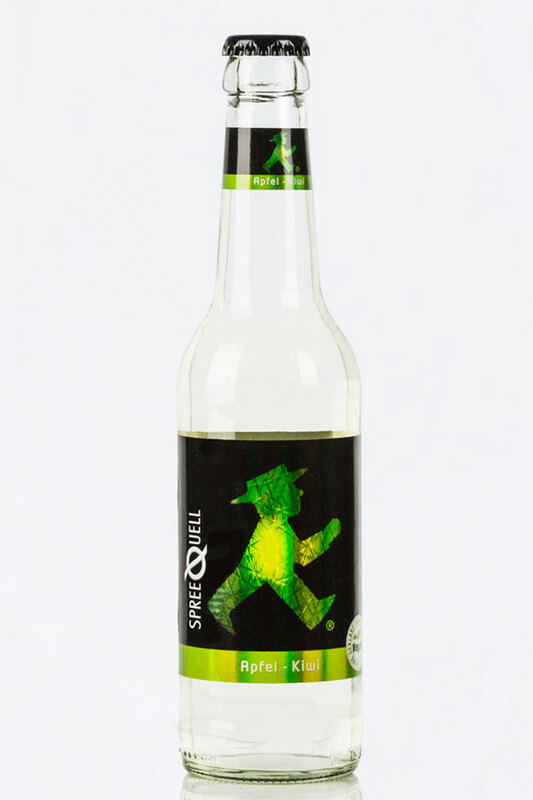 We offer use of the Ampelmännchen free of charge to selected organisations and associations which cover topics closely connected with the Ampelmännchen (traffic, the East, reunification). Decisions are made on an individual basis. We look forward to your enquiry about AMPELMANN licenses! Simply send us an email to lizenzen@ampelmann.de and we will contact you.